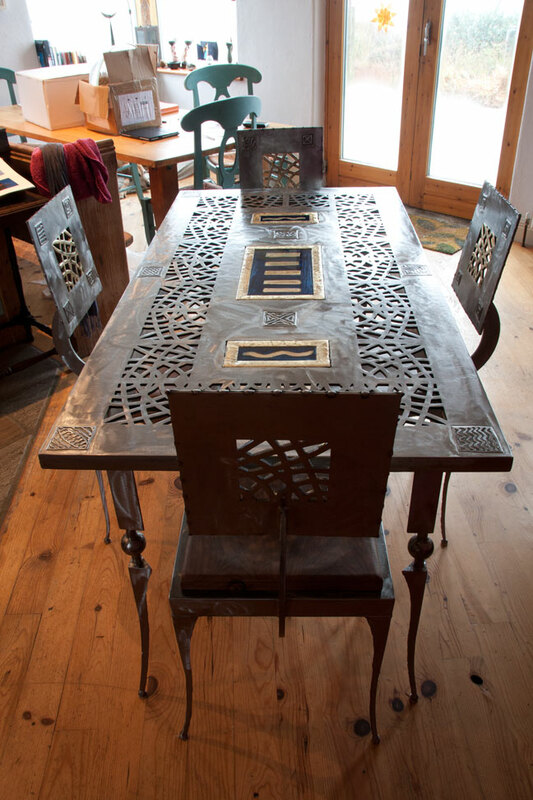 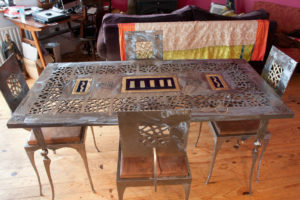 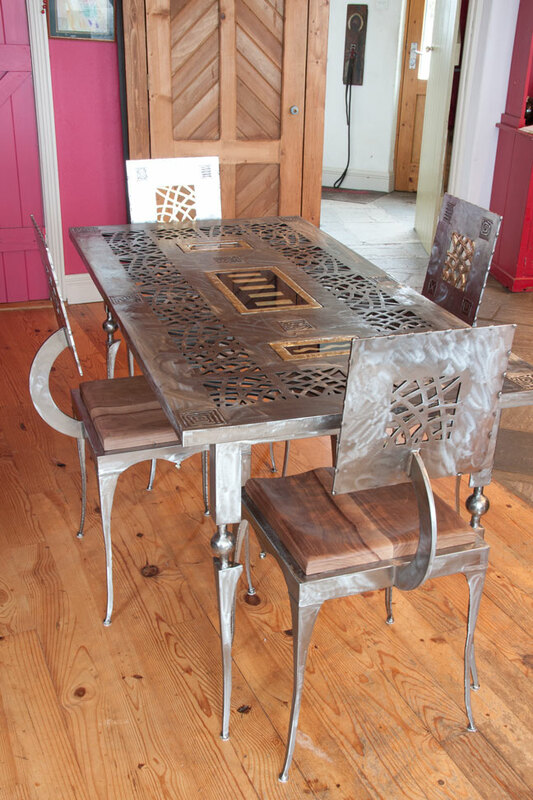 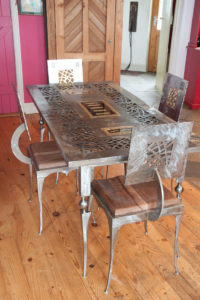 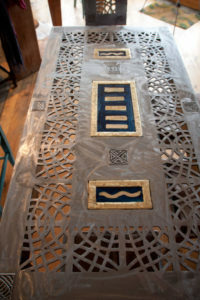 This table and chairs was commissioned for a client in London. The table measures 1500 x 750 x 730mm. 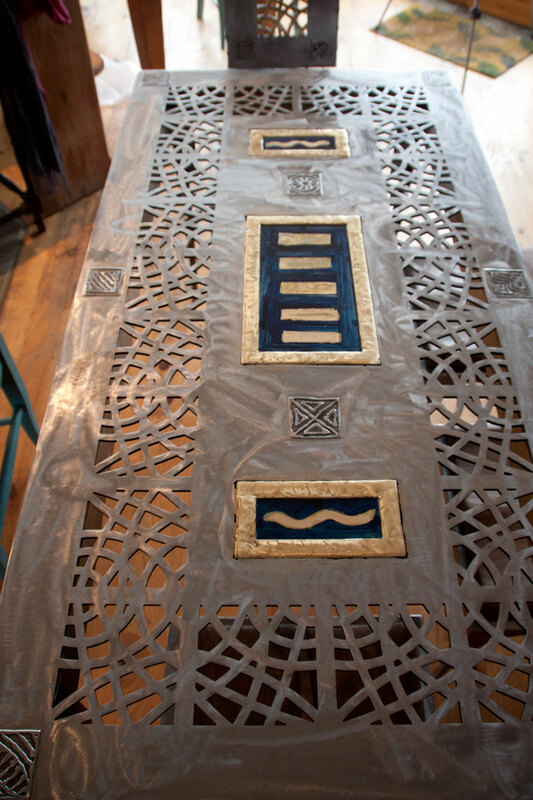 The materials are polished steel and brass with painted glass inserts. 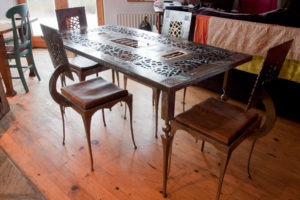 The four chairs have carved walnut wood seats.